The number of painters I fully love grows with the centuries. Brueghel, Jerome Bosch do for their joyfulness even in the tragic or trash and their brash use of colors. As far as Raphael is concerned, I appreciate the sweetness of some of his family scenes and women. Just appreciate. 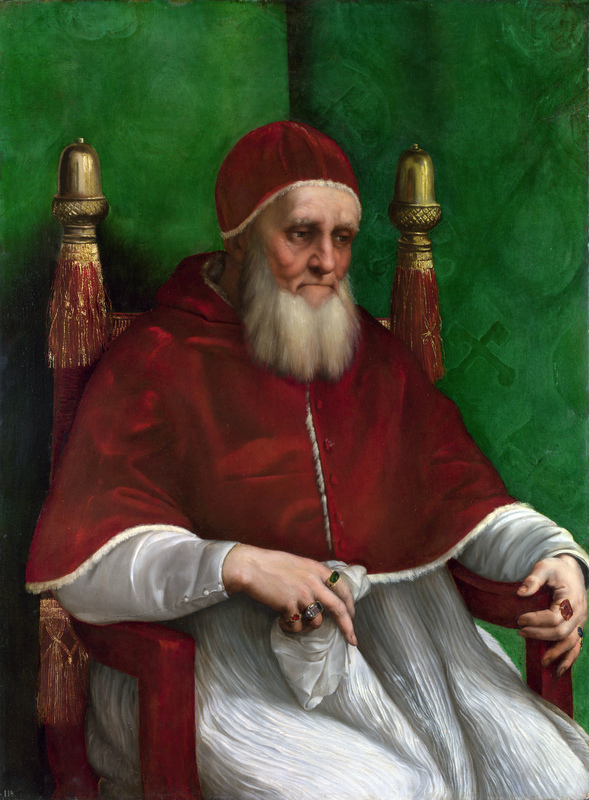 But I recently discovered his portrait of the pope Jules II. I am stunned by this work of art, the sharpness, the colors, the expressiveness. Outstanding !